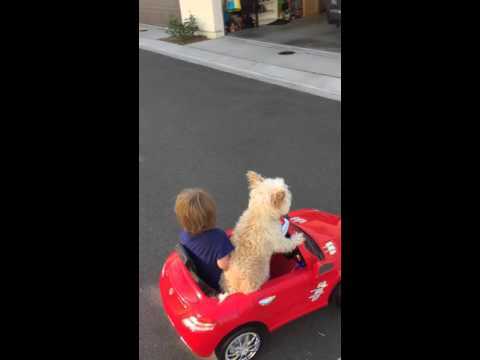 Oliver was gifted a red toy car for his 2nd birthday and loves driving it around everywhere. Oliver’s mother Jessica was recording him drive his beloved toy car when she noticed something hilarious. She saw the family dog Daisy steering the toy vehicle around the front patio. The hilarious thing is that neither the dog or her son can reach the pedals of the car, Jessica accelerates the car remotely by a remote.